-The number of Israelites leaving Egypt numbered around 2.5 million. Insane numbers. A good leader got 2.5 million people out of a country seemingly overnight with minimal supplies. 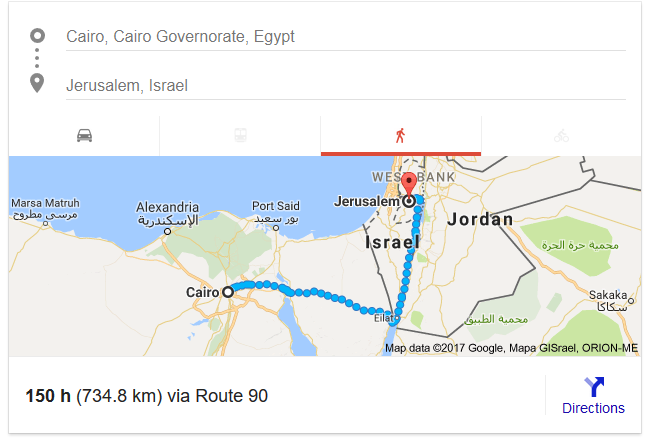 The fact that it was a very swift departure to escape Pharaoh’s wrath. And he did this all with near-zero management structure or communication lines. Moses clearly went into this thing with a strategic plan and the management moxie to carry it out. That is absolutely amazing. Probably the most impressive feat ever done. 150 h walking is almost 40 years, right? Because there wasn’t much food in the desert, he arranged for God to deliver bread. In leaving Egypt, Yahweh took His Temple on the road, and that meant people had to be brought to haul the temple gear. Somehow, Moses had to encourage these men to do their jobs, which wasn’t easy for the Kohathites who had to transport the goods for the Temple from one camp to the next without touching or looking at it. Think about that. That has got to be a tough situation to find yourself in – because of your birth you’re a basically a slave for the Traveling Temple Extravaganza and you not only don’t get a career choice, you can’t touch or even look at the treasures you have to move safely. Imagine all the logistics of just keeping a population of 2.5 million people, more or less, and their livestock fed and sheltered in a desert without getting bogged down in crime! The lack of archaeological evidence of their crossing means the litter laws were very strict. That or they covered up their tracks to fend off Egyptian scouts. The whole thing was so well done that they left no traces. Moses had the constant threat of death hanging over his head. Not just from the Egyptians, but from God who sent him on this holy mission. The LORD gave Moses new, very important instructions about worship that had to be obeyed to avoid even more wrath. And then, God still sent diseases to, rained fire on, and instantly struck dead so many of the Israelites. With so many killed, it’s a wonder they survived the 40 years to travel 750 kilometers. He was truly and artist and a showman. One day, the bible tells us, the LORD said to Moses that He wanted to purify the Levites. Under the LORD’s direction, Moses has Aaron create some candelabras with a lovely pattern the LORD chose. The next part probably wasn’t as simple a request as the LORD wanted Aaron and all the Levites shaved. Entirely. Not just their faces, not just their heads, their legs, arms, eyebrows, etc. Their family jewels would reflect a shiny, polished ball of dung if they did their jobs right, and who do you think was in charge of making sure everyone complied? I don’t know but it must have been a thankless task. But, if that’s what the LORD wants, that’s what the LORD gets. They remembered the last time they didn’t obey. Moses made them eat the product of their disobedience (Exodus 32:20). The LORD was pleased, which makes me wonder if the Levites were paraded around for His approval like some Semitic Full Monty Act, or if He just knew, but it doesn’t matter. The point is that the LORD didn’t want a hair on their bodies and by God, they removed every last one. Moses couldn’t have been popular already, but somehow he convinced them not to kick him in the gonads for not talking God out of that one. Anyway, after washing their clothes and dressing up, they grabbed a couple young bulls and some wheat and then assembled everyone in the camp in front of the LORD’s tent. The bible doesn’t tell us just how Moses organized 22,000 freshly scrubbed and shaven/plucked/waxed Levites in front of a crowd roughly the size of Chicago in a space about half the size of a football field, or if there were vendors wandering around selling toys for kids and 100% beef hot dogs for those feeling a bit peckish. Either way, that’s some wizardry level organization right there. Presumably while he’s got everyone attention, Moses offers up Aaron and the other Levites as a wave offering unto the LORD. We don’t know just how the Levites were set apart with this offering. It may have been done by leading them backwards and forwards in front of the Tabernacle, or by the waving of Aaron’s hands. In either case, it probably wasn’t done quickly. Next, each Levite was to pet both bulls. Another countless hours (days? weeks?) for the congregation to wait for the thousands of Levites to walk through the worlds smallest petting zoo. If Moses wasn’t already on a number of hit lists, that would be a miracle. Keep in mind Aaron is 84 years old a the time, and how he doesn’t fall asleep or keel over is pretty remarkable. 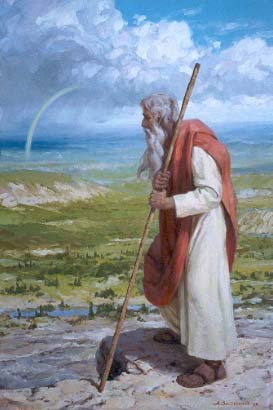 Moses, like a fabulous Broadway producer, kept the show running smoothly before a crowd six times the size of Woodstock for however long it took. If there were any riots or attempted hits on his life, the bible doesn’t say. However long it took, the sheer magnitude of this one event alone must give the doubter pause. Moses must have been more eloquent than Churchill, more energizing than Hitler, more persuasive perhaps than Jesus. If you don’t believe me, check your bible. Numbers, chapter 8. He generally carried out God’s instructions. Plus, stoning is a worthy punishment for gathering firewood on the Sabbath. He also had the conviction to codify God’s voice telling him to stone that one person in Mosaic Law, that is the standard of Western Civilization to this day. Work may be done for six days, but on the seventh day there must be a Sabbath of complete rest, dedicated to the LORD. Anyone who does work on the Sabbath day must be put to death. Moses listened to God’s voice. 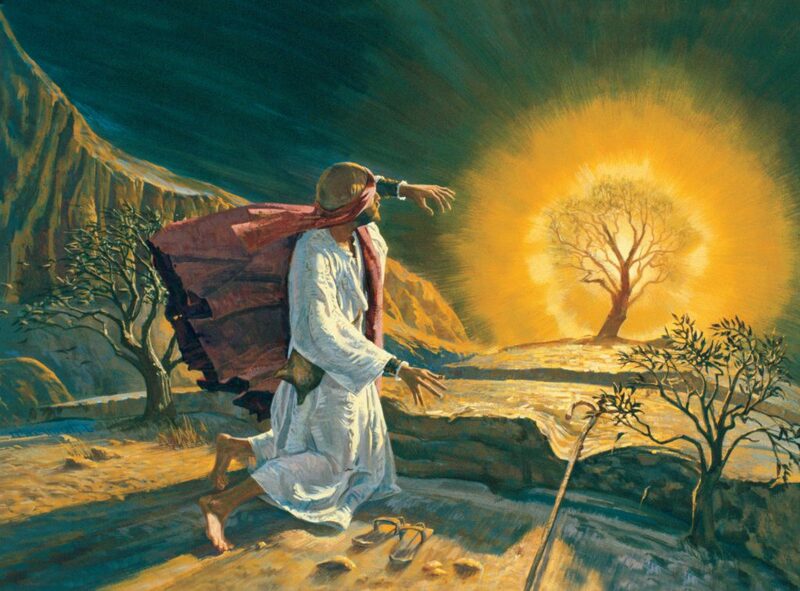 A lesser man might think he was hallucinating when a bush caught on fire and started talking, but not Moses! He knew to listen for God’s voice. Moses knew when his boss had gone too far. God had planned to kill everyone for the Israelites building a golden calf, except Moses’ family. When God says that, Moses says, “That’s enough,” to the creator of the universe. He doesn’t allow God to kill everyone. Even the hottest headed boss can be made to realize He is wrong sometimes. Moses merely kills 3,000 people who were actually worshiping the calf, except his brother. Though, Moses wasn’t always perfect. He was supposed to talk soothingly to a rock to get water from it. 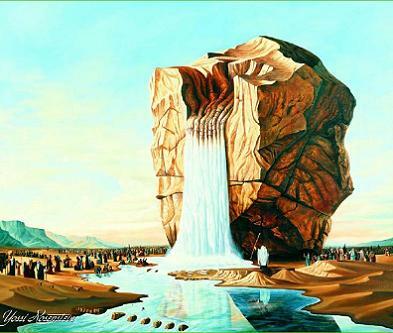 And the LORD spake unto Moses, saying, Take the rod, and gather thou the assembly together, thou, and Aaron thy brother, and speak ye unto the rock before their eyes; and it shall give forth his water, and thou shalt bring forth to them water out of the rock: so thou shalt give the congregation and their beasts drink. Instead of trusting God, he used unnecessary force and struck (or smote) the rock. How did God react? In the only manner possible. He punished Moses and his brother Aaron most severely! Though, Moses was a Jew, he was for the most part a holy leader for God’s formerly chosen people. I think it’s important to realize that he doesn’t hold a candle to Jesus Christ, but we can revere and learn from his adherence to God’s voice, commandments and conscience.